Every time I’m in a foreign country ready to tour a city, there’s a bunch of things I can never leave home without, I like my things organised, readily available and safe — which is obviously just good common sense. 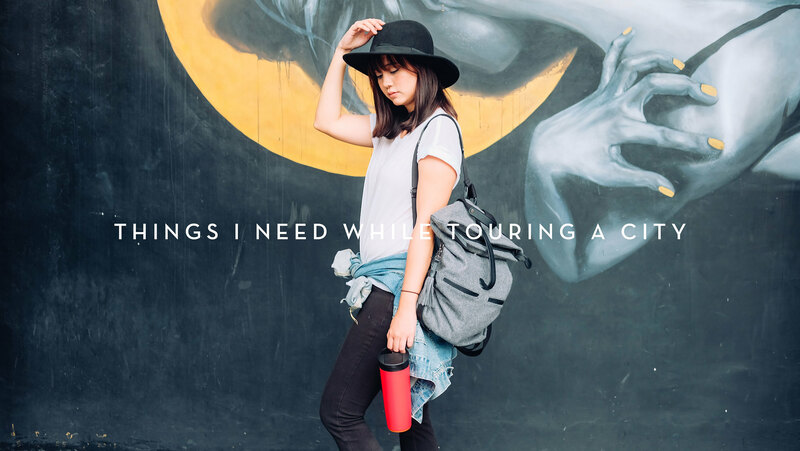 So for this new blog post, I’ve rounded up a list of things that would make my tours around the city a little less stressful, and I thought it might actually be useful for you guys as well! 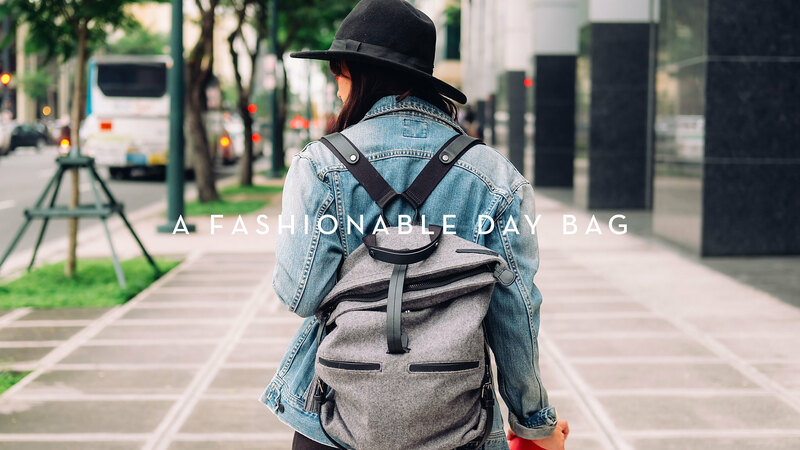 1.A sturdy, comfortable yet fashionable day bag I only bring one kind of bag when traveling, which is always my go-to day bag. It needs to be durable, comfortable to wear and in a neutral shade so it’ll go with whatever outfit I’ll be wearing that day. I’ll be heading to Europe during winter, which means lots of gloomy gray weather. This bag from Sherpani is the perfect day bag because it’s functional yet sophisticated and stylish, dark yet feminine. 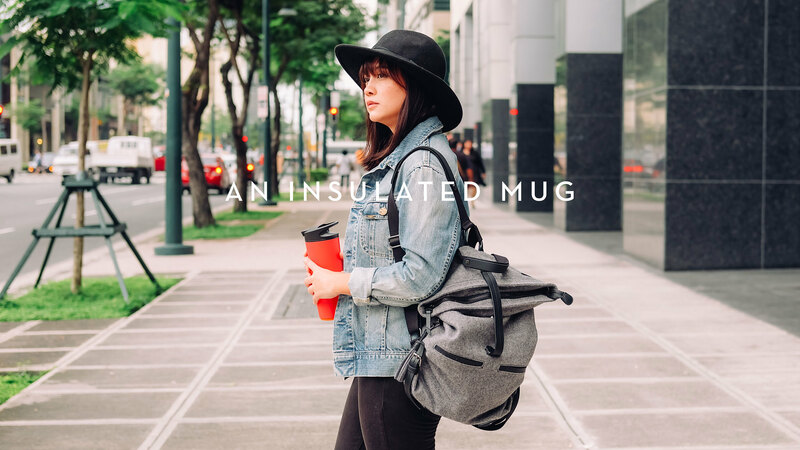 My specific backpack is called the Amelia Slate, which features a fold over zipper flap which ensures the safety of my valuables inside — so I don’t have to worry about pickpockets while roaming around busy areas. It’s made of boiled wool and genuine leather (remember when I said it’s perfect for winter season?) with a detachable tassel and wristlet wallet — like I said, so much functionality! I absolutely hate bulky wallets… Not only are they obvious to the wandering eyes of pickpockets, but they’re difficult to keep hidden in your clothing. When traveling, it’s so important to only bring enough cash for the day with you and at least your ATM and a credit card, this way, if you ever lose your wallet, you’re not losing your entire travel budget. I’ve heard of horror stories of people bringing around wads of cash worth thousands of euros only for it to get stolen in acrowded touristy area. To avoid this, your best bet is a slim wallet/credit card holder such as the YaY Wallet. 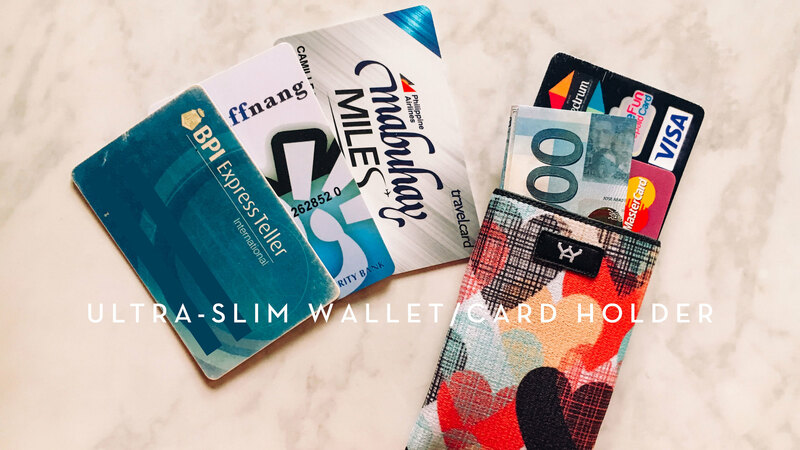 Its slim design makes it perfect for keeping enough cash and cards for when you travel, do outdoor activities, going out to the club, quick errands, etc. It’s made out of super strong custom constructed woven elastic, has excellent stretch recovery and can securely hold up 10 cards + some cash. If you need to clean it, you can hand wash it or machine wash it, whichever you fancy. My favourite part about the YaY wallets is how you can keep it safely in your front pocket for ultimate safety, and it won’t even look like a wallet at all! In the last few trips I’ve taken, I always encountered one major problem: dead batteries on my devices. This year, I plan to make it a priority to buy at least 1 extra battery for my photography camera, my vlogging camera and a really nice powerbank for my phone. I’m actually still on the lookout for a powerbank since I have zero clues on which brand are great and has the best charging cycles, so if you’ve got suggestions, I’d love to hear them!!! I know, it may sound like a weird necessity but winter + hot chocolate/coffee is perfect on cold mornings while walking around a city like London or Paris! The cool thing about the Artiart Suction Mug is its clever grip-pad design which reduces spillage occurrence, especially on those long inter-city train rides that can sometimes be a little bumpy! The mug wont tip over if you accidentally knock into it but it lifts straight up and detaches itself quickly and easily. The suction mug works on all flat non-proud surfaces like desks and tables, and the twin insulated walls keep beverages hot for longer. There’s nothing I dislike more than a messy day bag where I end up having to take all my stuff out just to look for one thing. 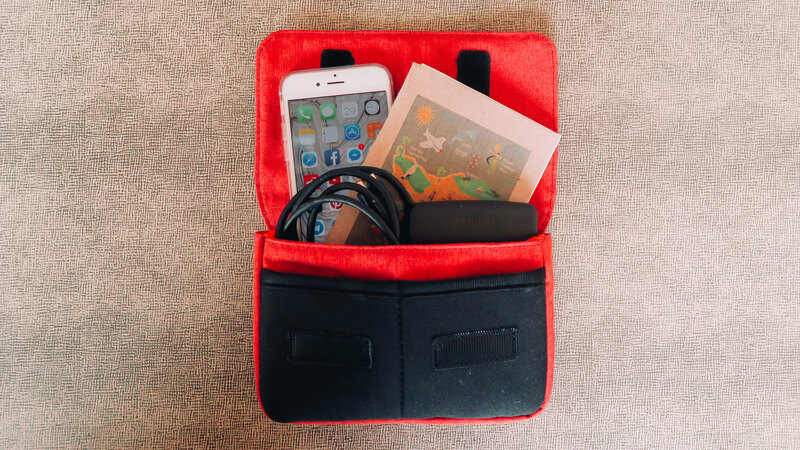 I recently got a multi-storage pouch which I take with me everywhere, and not just when I tour around a city. 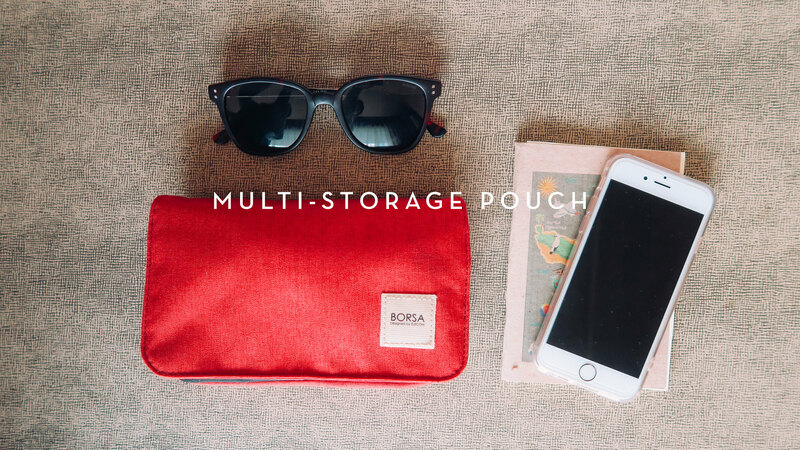 The BORSA multi-storage pouch can fit a powerbank, a pocket wifi, SD cards, USB sticks, and other compact items or smaller items that can easily get lost. It features a flap with hook-and-loop fastening so you can quickly open and close your pouch, and thick front pockets with excellent stretch fabric to help cope with smaller gadgets. Disclosure: This is a sponsored post for Sherpani, Elecom, Artiart, YaY and Borsa. These items were gifted to me and I’ve been using them for 1 month. All thoughts & opinions expressed in this post are solely my own.